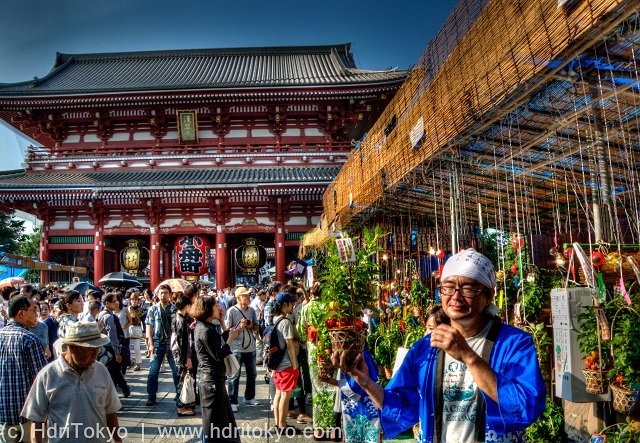 Hozuki-ichi (ground cherry fair) at Sensoji temple, Asakusa. It is an annual event of the temple which is held on July 9 and 10. Shooting date : July 10 , 2015.